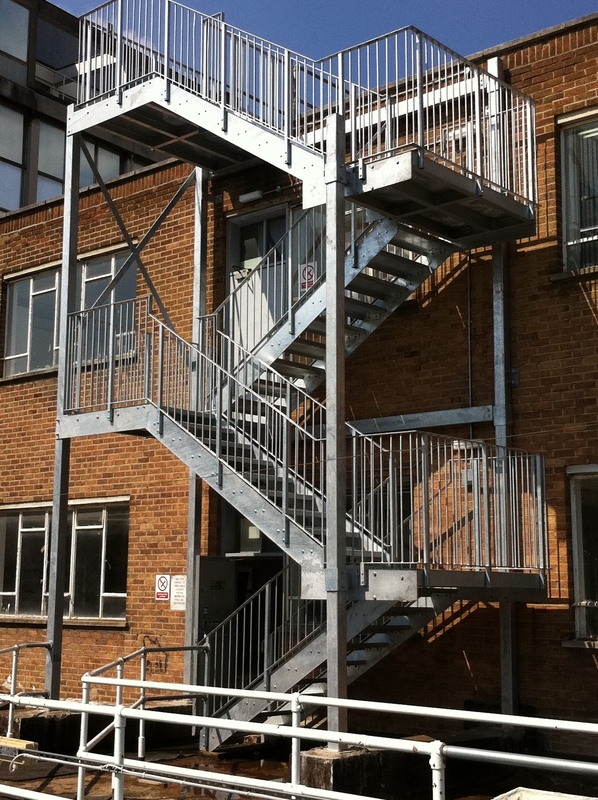 Details: Following a site report, it was established that the two existing steel fire escape staircases on campus were suffering from damage, weathering and generally in a poor state so needed to be replaced. 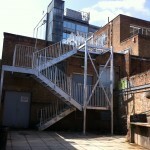 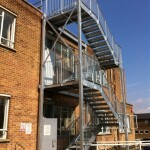 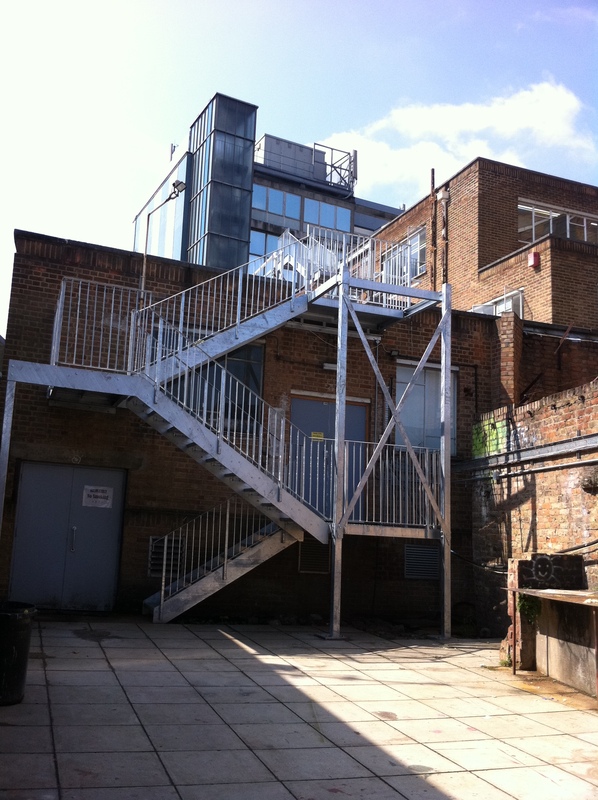 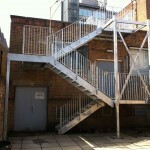 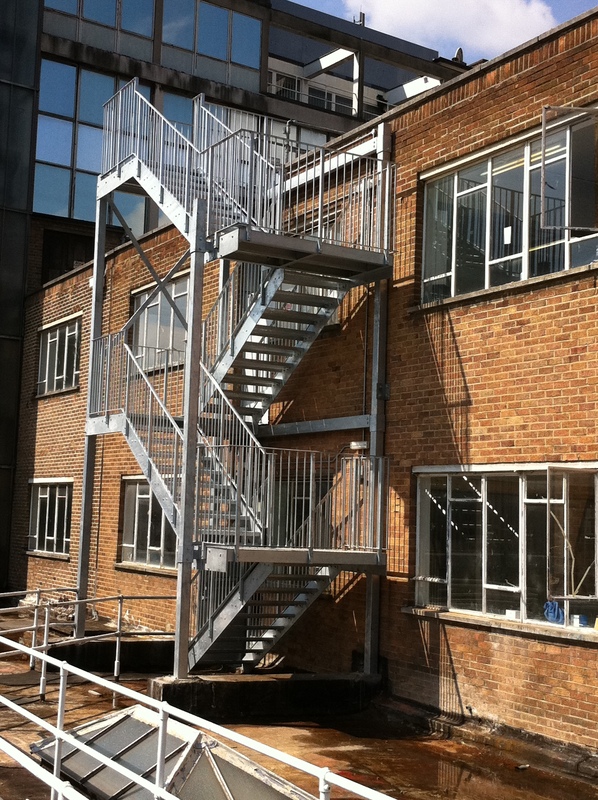 Morris Fabrications were required to carefully dismantle and remove from site the existing stairs and then replace with two new galvanised steel fire escape stairs. 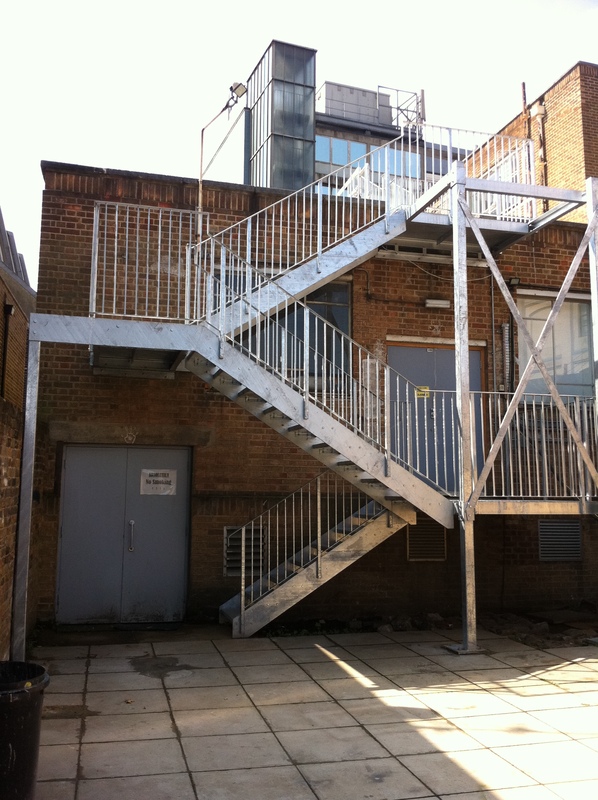 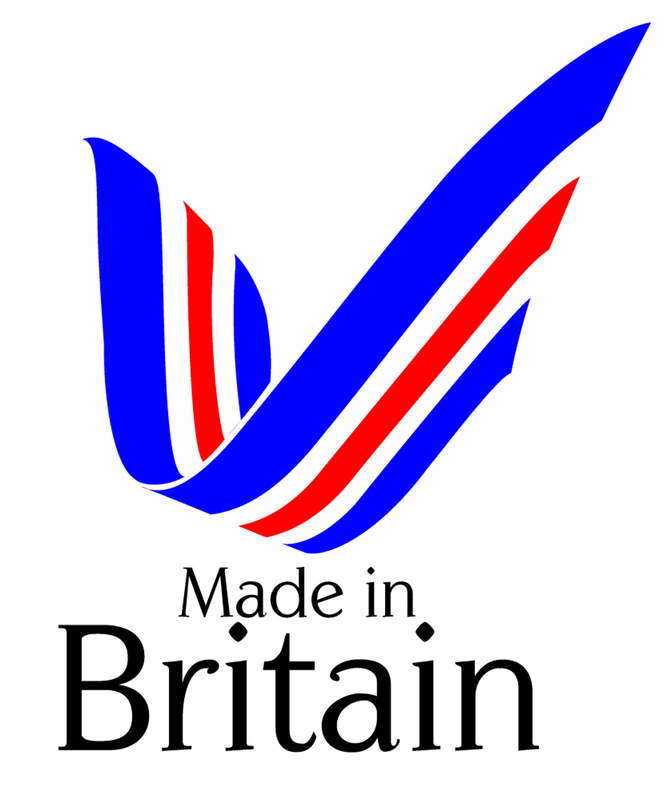 The work had to be carefully planned due to term times, as well as access around the building. 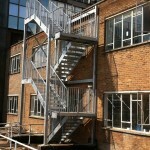 Staircase 1 was 3 flights (ground to roof) with closed riser checker plate treads, infill bar balustrade plus landing and support posts. 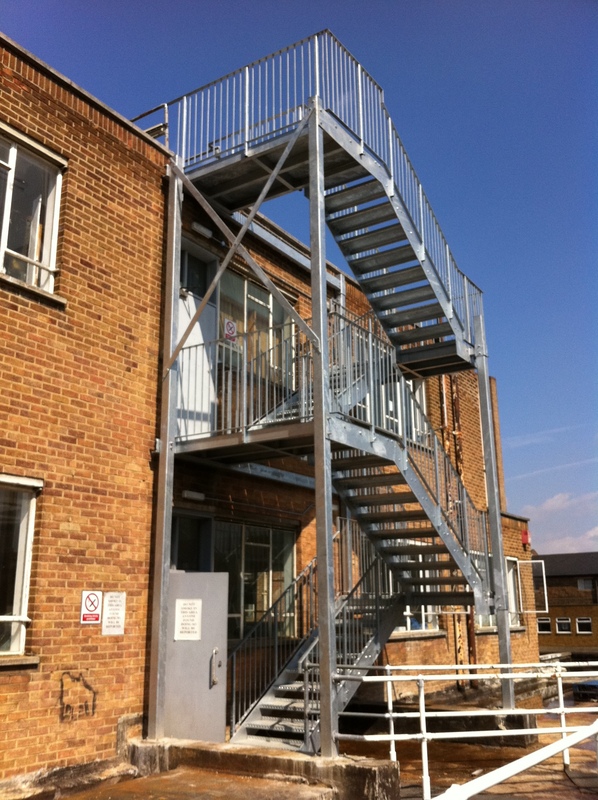 Staircase 2 was 4 flights in total (roof to higher level roof) again with closed riser checker plate treads, infill bar balustrade plus landings and support posts. 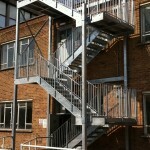 Both stairs were galvanised to ensure a long life span.